While there are many versatile venues in the Capital Region, few have been transformed for as many different events as the Saratoga City Center. Located in the heart of downtown Saratoga Springs, the Saratoga City Center is one of the largest event spaces in the area. The Total Events team has transformed the space for a variety of events including weddings, proms, corporate galas, and trade shows! 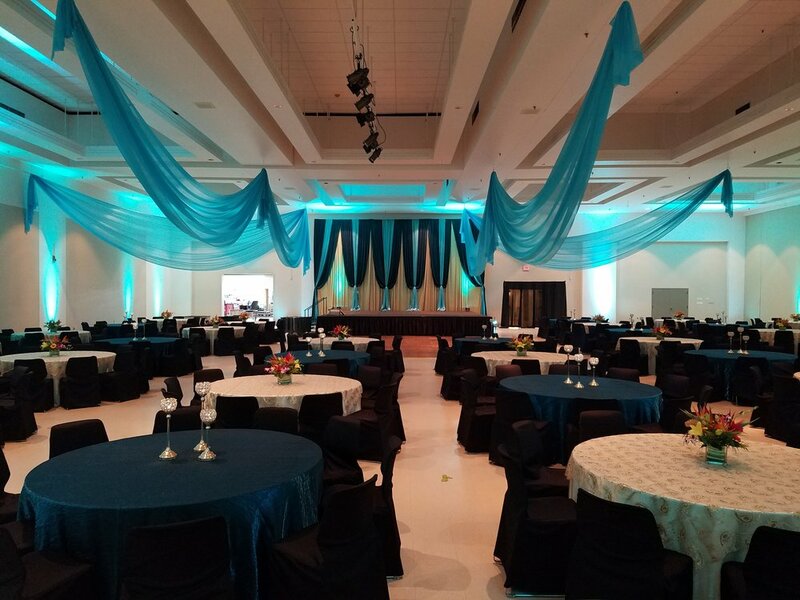 After undergoing a recent expansion and renovation, the 33,000 square foot facility is composed of 8 different rooms of flexible space that can be customized for your event needs whether it’s a smaller private event or you are looking for a larger event space. For Trade Shows and Conventions, the huge open space offers a variety of layouts that can be converted into a traditional pipe and drape show or a highly intricate, diverse layout incorporating lounges, charging stations, food stations and bars. 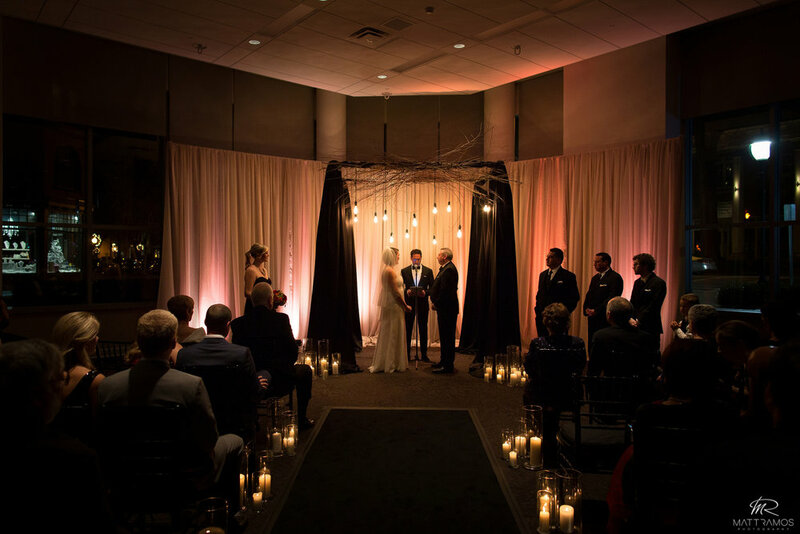 For weddings and private events, our team has transformed the ballroom style space in the new expansion with custom drapery design, ceiling swags, uplighting and lounge overlooking downtown Broadway. For Galas, the generous sized City Center offers the perfect blank canvas to transform into any style with 24’ ceilings. Another benefit of choosing this venue is the Saratoga Hilton hotel is connected to the City Center and offers overnight accommodations and expanded event space options. Ready to start your #TotalEventsTransformation? Contact one of our Event Specialist today!